Beat egg yolks and granulated sugar until pale yellow. Add cream and cardamom; mix well. Gradually add flour until dough is firm enough to roll. On a lightly floured surface, roll into a 15-in. square. Using a pastry wheel or knife, cut into 15x1-1/2-in. strips; cut diagonally at 2-1/2-in. intervals. In the center of each diamond, make a 1-in. slit; pull one end through slit. In an electric skillet or deep-fat fryer, heat oil to 375°. Fry bows, a few at a time, until golden brown on both sides, 20-40 seconds. Drain on paper towels. 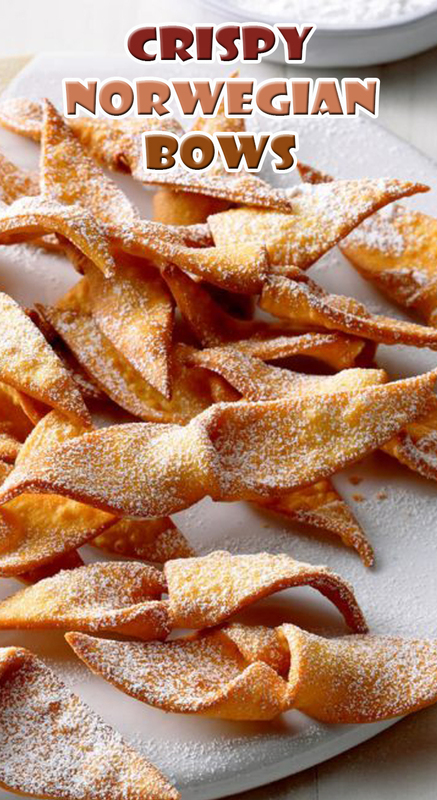 Dust with confectioners' sugar.